Taipei: Shares of Apple’s suppliers declined on Wednesday, after the company failed to wow fans and investors with its newest iPhone, while rivals HTC and Samsung Electronics rose on expectations they would be better placed to grab market share. The new iPhone 4S is identical in form to the previous model, disappointing fans who had hoped for a thinner, bigger-screened design. “The casing companies should be the most-hit, correcting from the previous rise, because the market has expected a metal case for the new iPhone," said Mike Fang, a fund manager of Paradigm Asset Management. Fang did not expect iPhone shipments to drop on the disappointment over its appearance however, as a cheaper price would allow sales to expand at a faster pace. 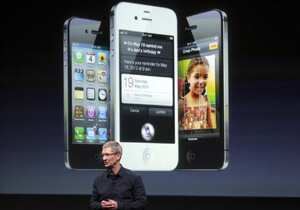 “The demand is still there from users upgrading from iPhone 3S because it’s two generations behind," he added. Shares of Taiwanese smartphone maker HTC climbed 1.2%, while Korean rivals Samsung Electronics and LG Electronics rose 1.1% and 2.3% respectively, in a broader Korean market down 2%. Apple’s failure to introduce a phone with distinctly new features may prompt mobile carriers to aggressively promote other LTE models, especially ahead of the Christmas season, some analysts said. LG Electronics introduced a LTE smartphone in Korea this week, showcasing a 4.5-inch display and a dual-core processor. In Japan, the country’s second-largest mobile carrier KDDI will sell Apple’s new iPhone, ending rival operator Softbank’s highly profitable reign as the sole provider in Japan.